I have started to read Ann Patchett’s book, Truth and Beauty about her friendship with Lucy Geary. Geary is the author of the book, Autobiography of a Face. It tells the story of Lucy’s life after she developed cancer of the jaw, Ewings sarcoma, as a nine year old. Thereafter the doctors removed part of her jaw through surgery and chemotherapy and radiation. She spent the rest of her young adult life undergoing reconstructive surgery on her jaw. All attempts failed. 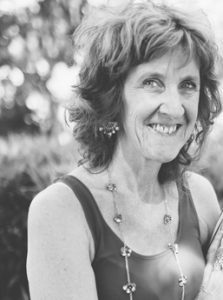 The book focuses on the pain of her experience but more than the physical experience and the long isolation and sadness of a childhood in hospital, Geary wrote about the effect of her appearance on others and on herself. Australian women artists during the early 1900s. In the process she wrote about the business of seeing and being seen. She had suffered a sudden threatened total loss of vision, a detached retina or some such thing and for a time she sat in darkness. She could not see. She contemplated the possibility of blindness. When you cannot see, do you cease to be aware of the significance of being seen? Do you care less about your attraction to men for instance? Men’s attraction to you? Do you focus on other senses instead? I had a dream as a child, a recurring dream, one of complete whiteness, whiteness that was not like a white wall that covered the whole field of my vision; it was a whiteness that held depth. I was looking into a void, rather like those arctic images I imagine when people suffer snow blindness, when the horizon blends with the land and we cannot discern land from water. A motion sickness they describe that sailors suffer when they have been out to sea for too long. The waves they imagine are rolling hills and they find themselves ready to leap overboard in a desperate bid to find steady land and something solid on which to walk. Their stomachs heave. This body ache that comes from constant motion must in some ways hark back to days in utero. Though to be carried in utero or in a mother’s arms must surely feel different from the experience of being tossed or rocked on top of ocean waves. The one surely has some cadence and sense to it, the other has the wild rhythm of a beast or a creature with a will of its own, a will that does not have the needs of the individual it carries in mind at all. A mother hopefully is mindful of her child; the sea I imagine is oblivious to its cargo. It will go on regardless, though, humankind is said to be upsetting the balance of the natural order of things such that even the seas might be angry with so many intruders. Our excesses interfere with the climate, the temperature, the balance of all things so called natural and as the concept of Gaia suggests, the sea might be angry and may have been so for many years. But this is to anthropomorphise nature and that will never do.